How Can You Calm Your Overstimulated Child? It is pretty common for children with Sensory Processing Disorder to get overstimulated at times throughout the day. It is usually pretty easy to tell if your child’s brain is overstimulated. But do you know how it gets overstimulated? A brain grows, develops, and adapts by receiving sensory input. When the input into the brain is clear and easily distinguishable, the brain responds in the right manner. Sensory input into the brain that is distorted and confusing to the brain causes it to become overstimulated and overwhelmed. Input into the brain affects the output from the brain. This can result in outward symptoms from your child such as confusion, hysterical, anger, confused, zoned out, extreme energy, etc. Be aware of your child’s senses. We all know that the 5 senses are smell, touch, vision, hearing, and taste. Being aware of these 5 senses, you can identify which of those 5 are overwhelming them during overstimulation. Remove them from whatever intense sensory experience that they are experiencing at that time. This will allow the brain to calm down and as a result they will also calm down. We live in a technology world. As a parent, I know that it is sometimes easier to give your child an IPAD or tablet to keep them preoccupied. Technology like tablets are a lot of visual and auditory stimulation for your kids. It may calm them down while they are using it, but what happens when you try to take it away? Chemicals in your child’s brain are being released during the screen time and when you take it away, the brain doesn’t like that. It is similar to taking a drug away from a drug addict. Where does over 80% of your child’s brain input come from? We went out over the 5 senses in the section above, but there is actually a 6th sense and that is movement. 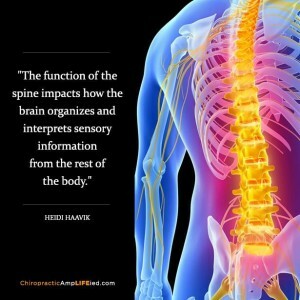 Most of the input into your child’s brain actually comes from movement of the spine! If your child’s spine is not moving properly, it will result in abnormal and stressful input into the brain. This affects the processing of the brain and thus the output from the brain. Pediatric chiropractic is not about back backs or necks. It is about the brain and nervous system. We have technology in our office to measure the function of your child’s brain and nervous system. We see amazing results with children that struggle from sensory challenges like overstimulation. If you calm the nervous system, the brain will start to process its environment properly. 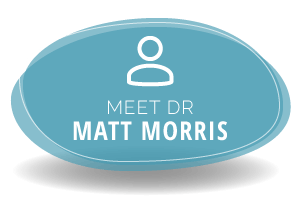 Request a free consultation if you would like to talk to us about your child’s challenges and find out if we can help. We are here for you!